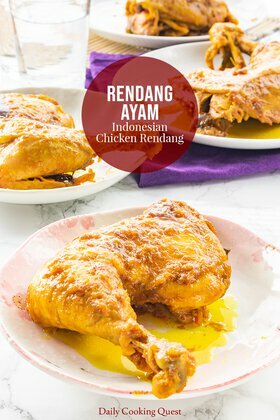 One of my favorite food is semur ayam, and it has been so since I was just a little kid. I grew up in Medan before moving to the capital city when I was twelve. Semur is easy to find in both cities, but there are significant differences between the two versions. 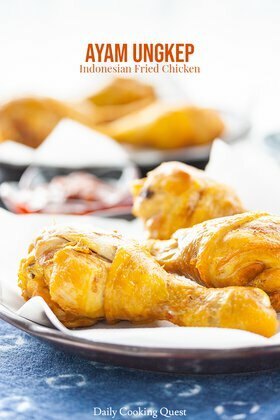 In Medan version, chicken are first fried until the skin is crispy. 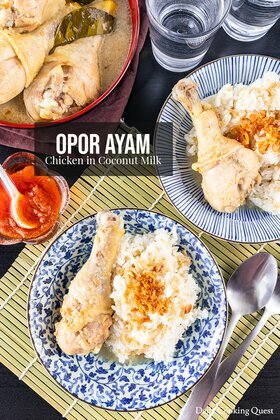 Also, Medan version uses coconut milk instead of water. 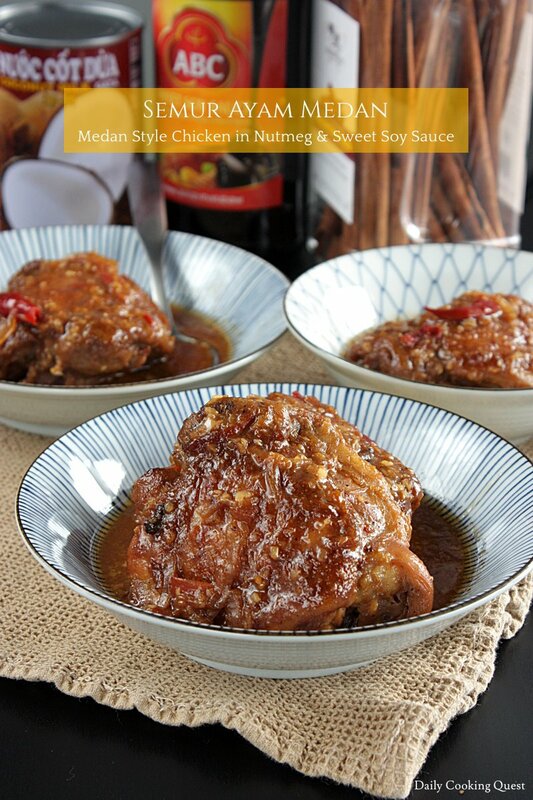 I definitely prefer semur ayam Medan - Medan style chicken in nutmeg & sweet soy sauce, but it may just be my bias. 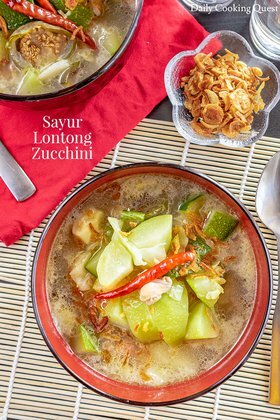 So feel free to try this and the more common Javanese version and then decide which one you like best. Cooking abroad means sometimes you must make do with compromises. Some ingredients are quite okay to be substituted, but some you definitely must hunt them down. Case in point, you can’t make a proper semur without Indonesian kecap manis. It should be easier now to buy kecap manis in the States. 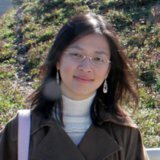 I currently live in a tiny city in Minnesota, and all the Chinese/Asian/South East Asian groceries have them. If you need to buy them online, I think ABC Bali is the cheapest option, but only if you go through gallons of them, like most Indonesians I know :) If you only use kecap manis sparingly, just stick to ABC or Bango. Of course, some ingredients are okay to be substituted. Original version uses Indonesian bawang merah, which I sometimes encounter. French shallot is very similar to bawang merah, but typically three times larger, and is the best substitute for bawang merah. When even French shallots mysteriously disappear (which was the case when I took this photo), I use regular onion. It’s okay for recipe like this, but it is definitely not okay when you are making acar. Another ingredients that can be safely substituted is kemiri (candlenuts). 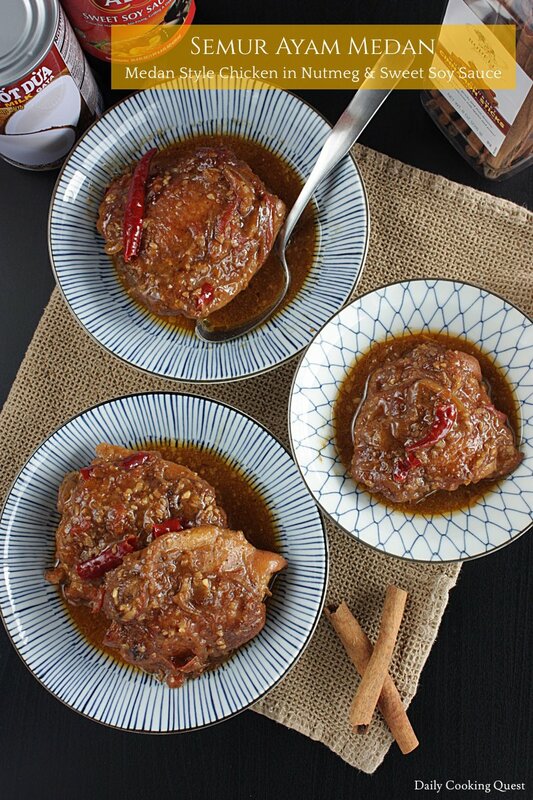 Any Indonesian recipe calls for kemiri, you can safely substitute with equal weight macadamia nuts. Marinate chicken thighs with lime juice, salt, and ground pepper for 15 minutes. Add sliced shallot and cook until translucent. Add spice paste and sliced tomato, cook until fragrant. Return the chicken to the skillet, along with chilies, cloves, and cinnamon stick. Season with ground nutmeg, salt, ground pepper, and kecap manis. Mix well. Stir in coconut milk. Reduce heat to medium. Once it boils, quickly reduce heat further to medium-low. Simmer until the sauce is reduced by halved and appears rather thick. Turn off heat, transfer to a serving plate and serve with steamed white rice. 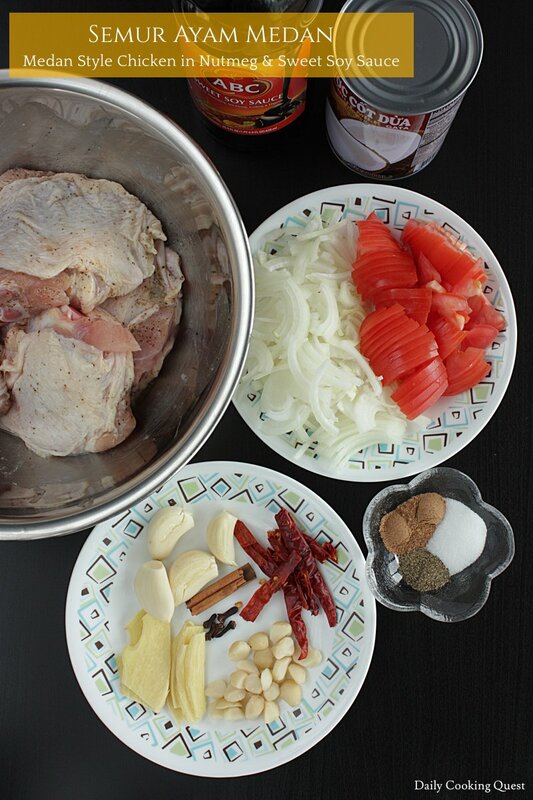 (*) We only want to brown the chicken at this stage, so no need to make sure the chicken is fully cooked.